Did you know that one and a half billion more people own a cell phone than have access to a toilet or running water? In this thought-provoking talk David Kilcullen explores the major trends, including a rapid increase in access to technology, shaping the most populous, troubled cities on the planet. Here, David lays out a plan for using this connectivity, in partnership with local organisations, to help build safer and more resilient communities. 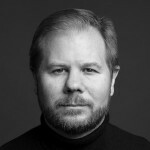 David Kilcullen is Founder & Chairman of Caerus Global Solutions, a strategic research and design consultancy based in Washington DC and of First Mile GEO, a geospatial analysis start-up. He served for 25 years as an infantry officer in the Australian Army, before going on to work with the U.S. State Department as a senior advisor on counterinsurgency. He advises world institutions, governments, businesses, NGOs and local communities across the globe, while working on complex humanitarian and security challenges in Iraq, Afghanistan, Somalia, Libya, Sri Lanka, Colombia and elsewhere. Dave&apos;s most recent bestselling book is Out of the Mountains: The Coming Age of the Urban Guerrilla (2013).